The history of the Vietnam War has rarely been told from the Vietnamese perspective-and never by a leader of that country. 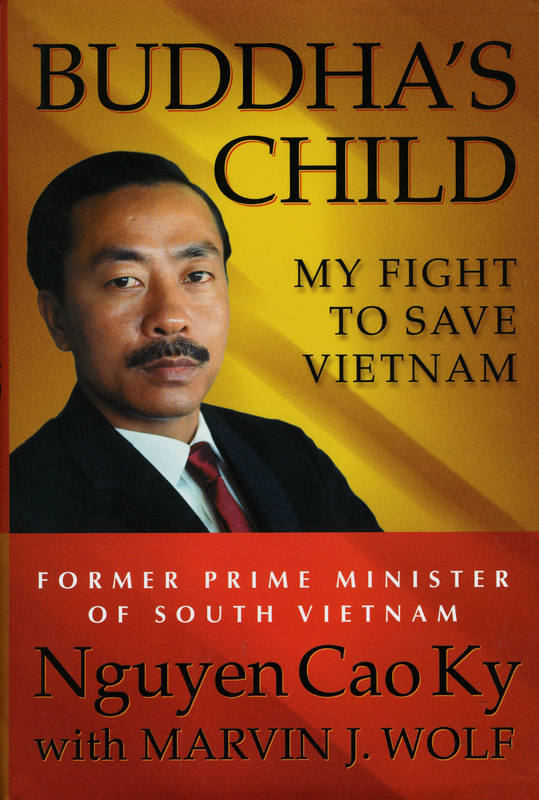 In Buddha's Child, Nguyen Cao Ky reveals the remarkable story of his tumultuous tenure as Premier of South Vietnam, and offers unprecedented insight into the war's beginning, escalation, and heartbreaking end. A thirty-four year old pilot and Air Force commander, known for his fighter-pilot's mustache, flowing lavender scarf and his reputation as a ladies' man, Ky in 1965 agreed to lead South Vietnam after a series of coups had dangerously destabilized the nation. Ky's task was to unite a country riven by political, ethnic, and religious factions and undermined by corruption. With little experience in governing and none in international affairs, and while continuing to fly combat missions over Vietnam, Ky plunged into a war to save his homeland. He served as premier until 1967, continued to be active in the war after his resignation, and finally left Vietnam in 1975 during the fall of Saigon. Buddha's Child offers Ky's perspective on the crucial events and memorable images of the Vietnam War: the coup against and execution of President Diem; the self-immolation by the Buddhist monk, and the radical Buddhists' attempt to topple Ky's government; the bloody and pivotal Tet Offensive; the shooting of a Vietcong prisoner, captured in one of the war's most notorious photographs; the Paris Peace talks that sold out South Vietnam; and the last, desperate days of Saigon. In frank language, Ky discusses his own successes and failures as a leader and dramatically relates the progress of the war as it unfolded on the ground and behind the scenes-including anecdotes about Lyndon Johnson, Richard Nixon, William Westmoreland, Henry Cabot Lodge, William Colby, Henry Kissinger, and many others. Buddha's Child is a revelatory, fascinating account of a nation at war by a most unusual man. "Insightful . . . Modest and keenly detailed, a welcome contribution to the literature of the Vietnam War."